Café Bota is an Italian restaurant ideally situated at the heart of Brussels at 236 Rue Royale in the commune of Saint-Josse. It is located between the Gare du Nord and the Cirque Royal, close to Ixelles, Schaerbeek and the European Quarter. 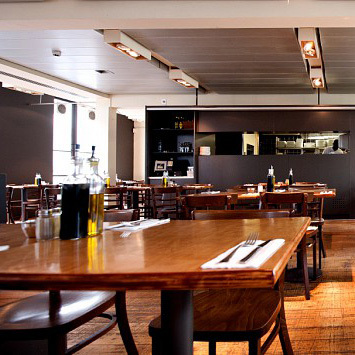 This café-restaurant has been patronized by lovers of Italian cuisine since 2006. 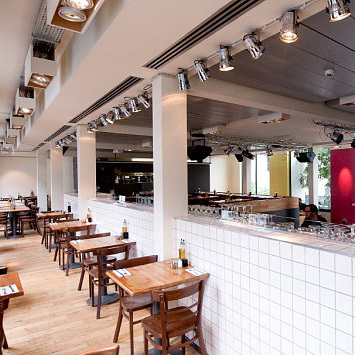 The Chef and the whole team welcome you in a contemporary and unusual setting. 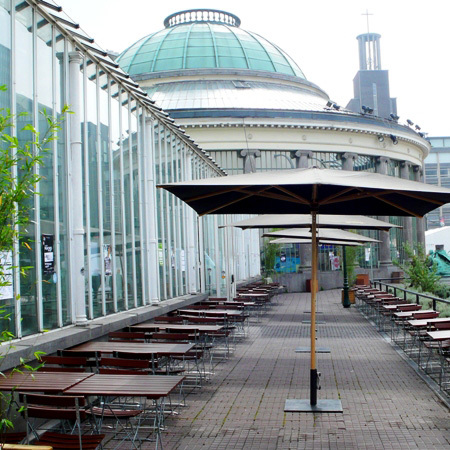 The establishment is known for its relaxed ambiance and friendly atmosphere where on several evenings each week concerts are held in the Botanique complex. The team at Café Bota awaits you in the exceptional setting of the Botanique where you will savour the delights of Italian cuisine. The Botanique's restaurant offers a simple yet delicious menu with new Italian specialities introduced each year. Café Bota at Saint-Josse provides a variety of dishes including pasta, meat, fresh fish and antipasti. Perfectly complemented by a selection of wines from Southern Italy to please your palate. 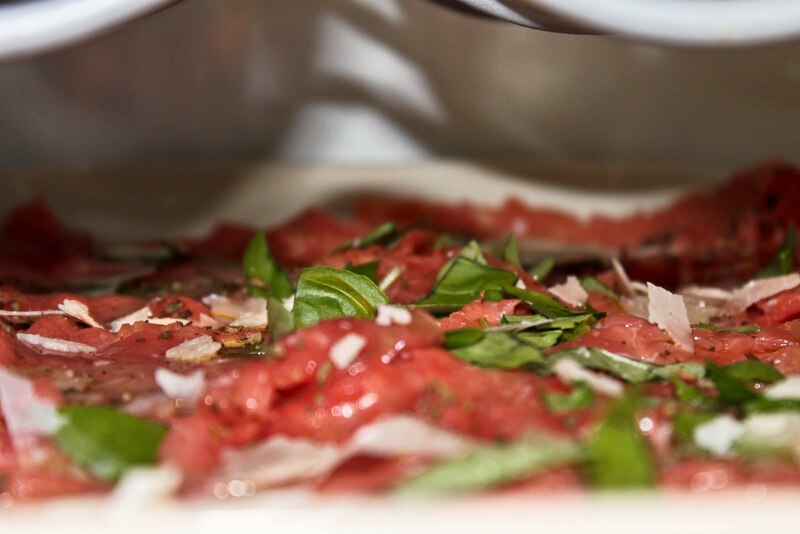 Allow yourself be tempted by our cuisine, prepared only with the highest quality products of unsurpassed freshness. Puglia Olive Oil, Parma ham cured for two years, fresh fish... All these food items are selected by our Chef with the greatest of care and sourced from the very best Italian suppliers and producers. Our guests adore our menu, combining simplicity with refinement and providing a most pleasurable dining experience. Our Chef is always available to give information on our daily recommendations (available on our Facebook page) and a selection of typically Italian wines. Make the most of your lunch break at our restaurant. Café Bota is the perfect restaurant for meeting and dining at lunchtime for a business get together, a meal with friends or colleagues, etc. If you would like to enjoy a spell of welcome relaxation while also tempting your taste buds before returning to work, our kitchen is open every weekday from 12.00 to 14.30. The restaurant is also open in the evening from 19.30 to 23.00 on concert evenings. Don't put it off any longer, come and discover our cuisine. We highly recommend that you reserve a table by phoning 02/226 12 28. One of the great advantages of our café-restaurant is without doubt its south-facing Terrace with direct views over the Saint-Josse Botanical Gardens. Here you can share a gourmet experience while also enjoying the sunshine and its benefits. The Terrace seats 60 people. Large parasols are also available should you require them for your comfort on our Terrace. Café Bota is two different ambiances: a restaurant at lunch time and a concert-dining experience when the sun sets. You can hire the establishment's space for your evening events, perhaps a DJ-hosted evening or a birthday party with catering services.